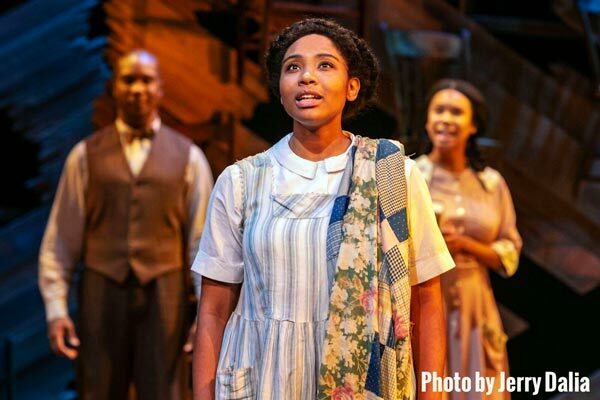 The Color Purple at Paper Mill Playhouse in Millburn on 2018-10-19 -- Nobody covers the arts throughout the Garden State like New Jersey Stage! With a soul-raising, Grammy-winning score infused with jazz, gospel, ragtime, and blues, The Color Purple is an unforgettable and moving musical based on the Pulitzer Prize–winning novel and Academy Award–nominated feature film. The Color Purple, with a book by Marsha Norman and music and lyrics by Brenda Russell, Allee Willis, and Stephen Bray, is a stirring family chronicle following the inspirational Celie as she journeys from childhood through joy and despair, anguish and hope to discover the power of love and life. Contains adult themes.